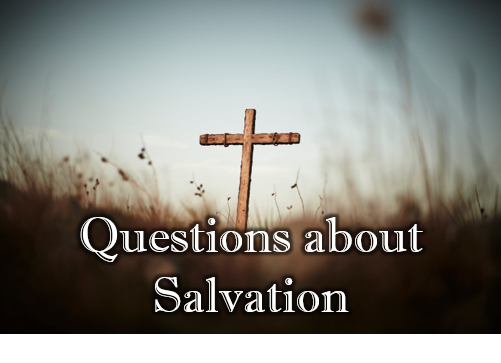 ​What is salvation? What is the Christian doctrine of salvation? How can you believe in salvation by faith alone when the only occurrence of "˜faith alone' in the Bible (James 2:24) says that salvation is not by faith alone? What happens to people who never have a chance to hear about Jesus? Will God condemn a person who has never heard about Him? If we doubt our salvation, does that mean we are not saved? Does God forgive big sins? Will God forgive a murderer? How does God's sovereignty and mankind's free will work together in salvation? How young can you be to ask Jesus to be your Savior? Can a 3 or 4 year old truly believe? What is the Ordo Salutis? Why is "accepting Christ" mentioned in evangelism when it is not in the Bible? How do God's mercy and justice work together in salvation? What does the Bible say about the evangelization of children? What is the effectual calling/call?